Hi Karen! I am reaching out in regards to Kathleen and Liz’s beautiful wedding in Palm Springs that you featured on Smashing the Glass earlier this year. 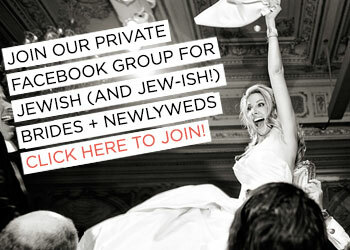 I am getting married this September and I have been looking for a chuppah far and wide. I haven’t had much luck, but I absolutely love Kathleen and Liz’s chuppah and was hoping you would be able to either provide their contact information or pass this email along with my details. 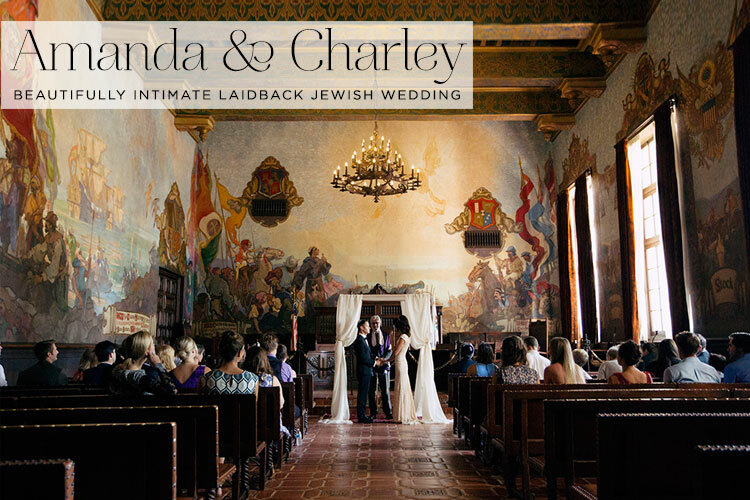 I would love to ask if I could potentially rent their chuppah and incorporate their beautiful handmade piece in another celebration of love. If not, I completely understand but I figured it never hurt to ask! 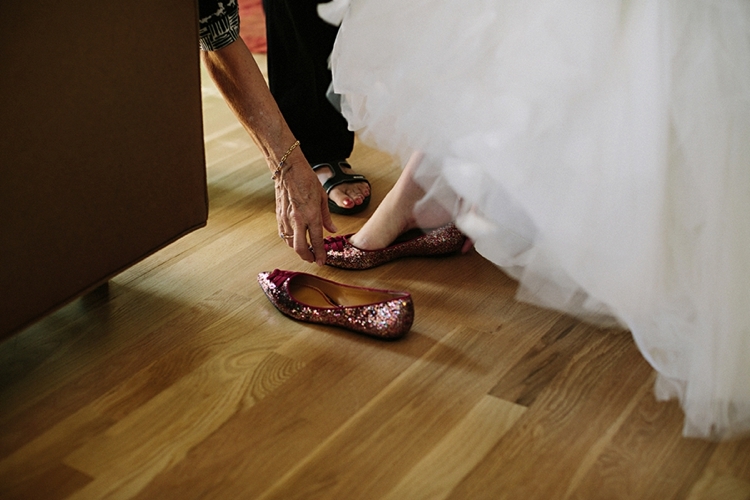 Amanda contacted me after her big day with her wedding story, and I am so delighted to share it with you today. It’s a true ‘Smashing The Glass’ W Day, bursting with creativity, authenticity and bucket loads of L.O.V.E. The biggest budget tip these two adhered to was keeping it small. They shared their celebration with a select group of close family and friends (just 40 people) and were confident enough not to invite the people who weren’t closely involved in their lives. Can you believe that Amanda’s TWO divine wedding dresses, her shoes and her accessories were all purchased for under $1000 ( £650)?! 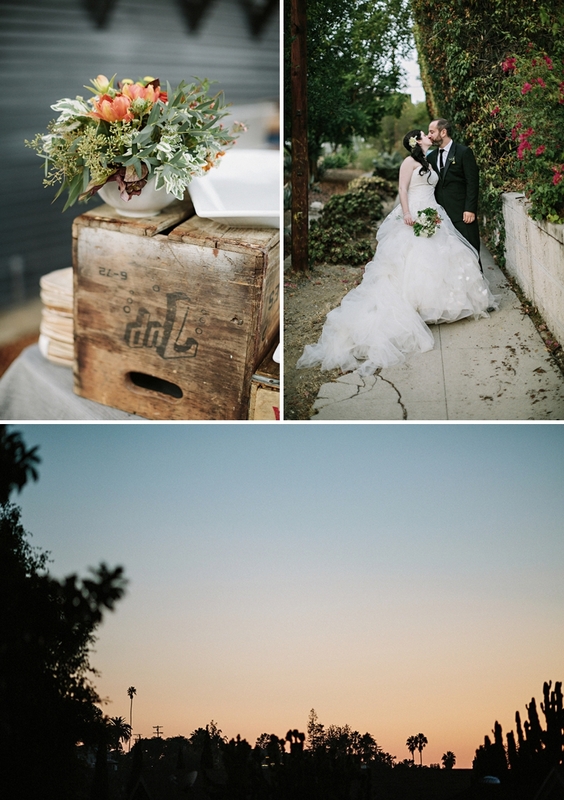 All the florals were bought by Amanda from a local flower shop the day before the wedding, and instead of spending their budget on live music or a DJ, these two had their nearest and dearest contribute to a wonderfully personal Spotify playlist. Amanda and Charley… I take my hat off to you. 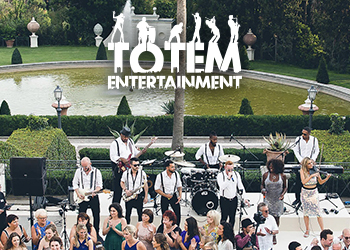 You definitely achieved your aim of creating the greatest party on the smallest budget. 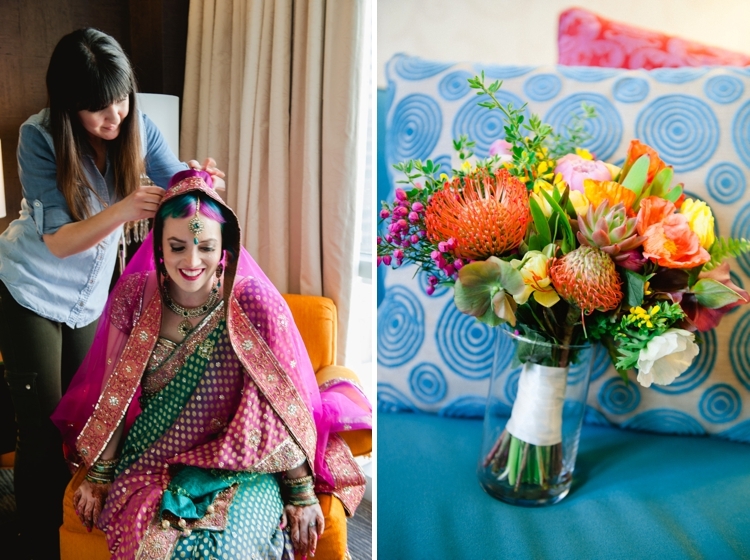 As a fan of bold colour, multi-cultural weddings are such a visual treat for me. 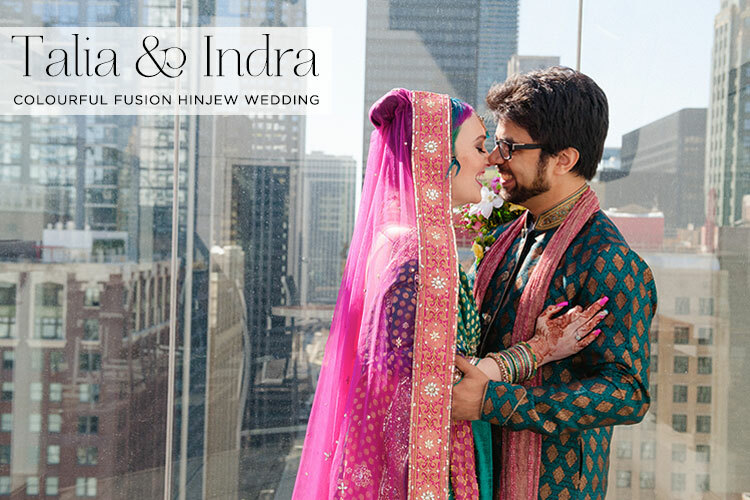 So I’m totally thrilled to be blogging this afternoon’s fusion Jewish Hindu or ‘HinJew’ wedding that’s an all-out explosion of colour and fun. 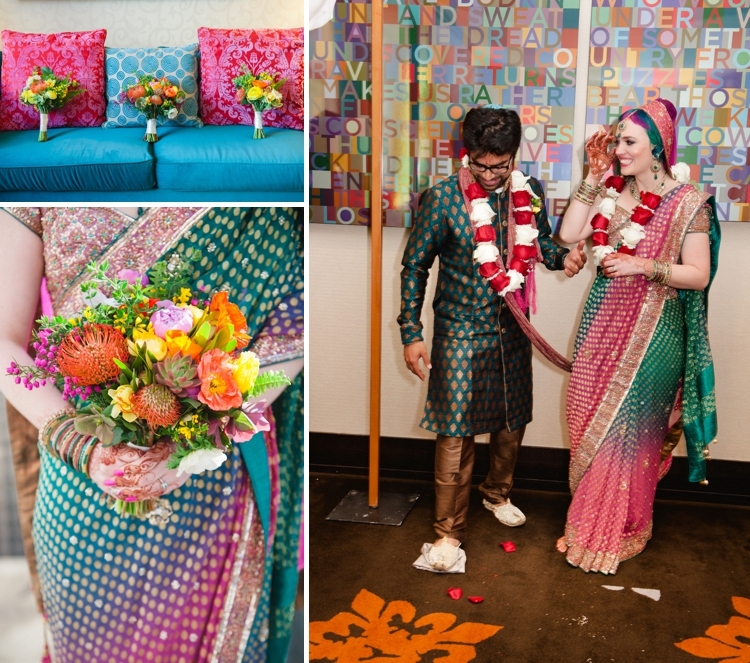 From the bride’s multi-coloured hair to her stunning dress, vivid jewellery and wonderful mix of flowers, to the groom’s hip style and snazzy bejewelled shoes! 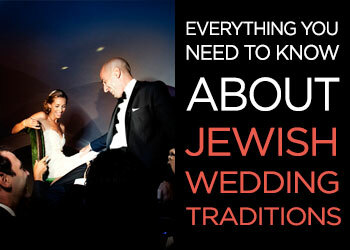 This wedding really shows how to perfectly amalgamate cultures, rituals, merrymaking, and personality! Talia and Indra made sure that amongst all their combined traditions they didn’t forget to let their personalities shine through. One of my favourite (and oh-so-simple) party details is that they had a design-your-own-‘mac-and-cheese-bar’ , because Talia is obsessed with this dish! So settle down and enjoy Talia’s infectiously fun words, alongside some super stunning imagery from Roots of Life Photography. 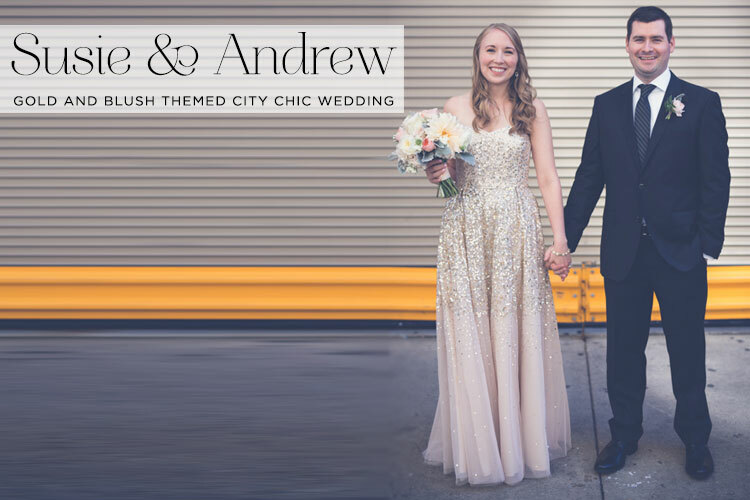 Susie & Andrew | Gold themed city-chic Jewish Wedding at South Branch, Chicago, with the bride in a sequin-covered wedding dress! I adore this morning’s wedding. 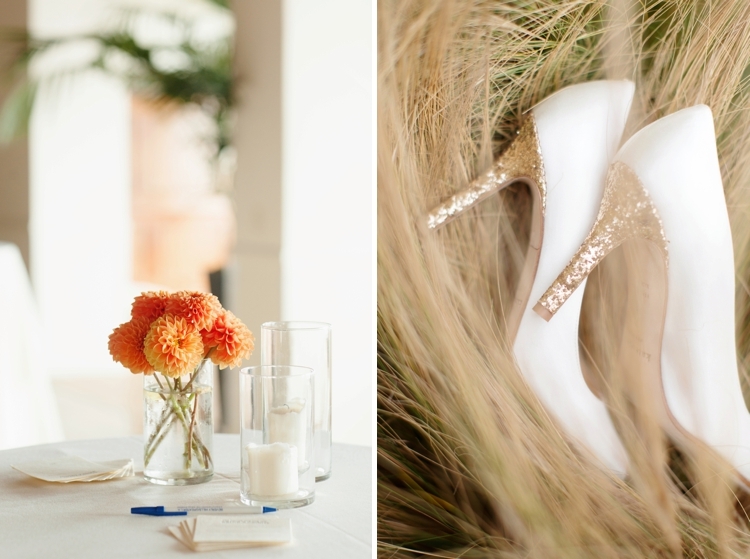 The colour palette of blush pink and golden hues is beautiful, and bride Susie’s blush tulle BHLDN gown (a super flattering hue for fair-skinned blondes by the way) glimmers from head to toe in full-on floor length gold and silver sequins. I LOVE it. 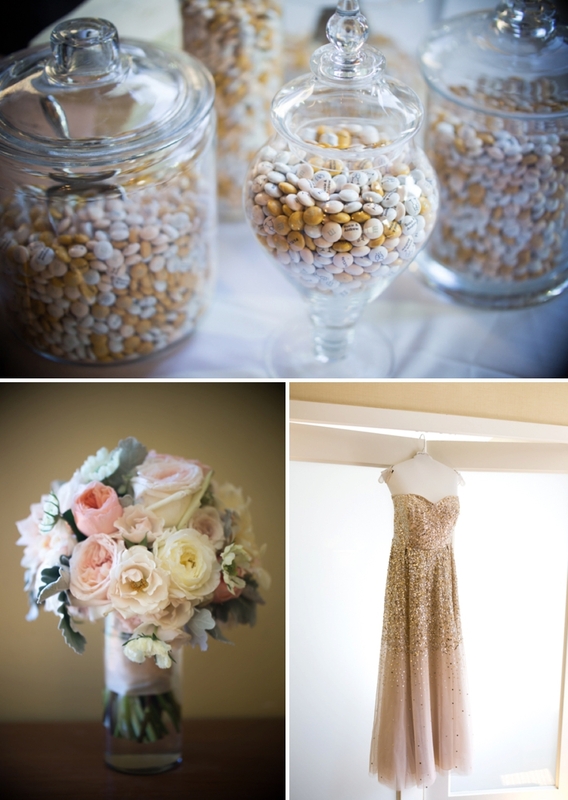 Susie found her dress a year in advance and it became the inspiration for the rest of her wedding decor and her chosen theme of gold and blush (one of my favourite colour combos). 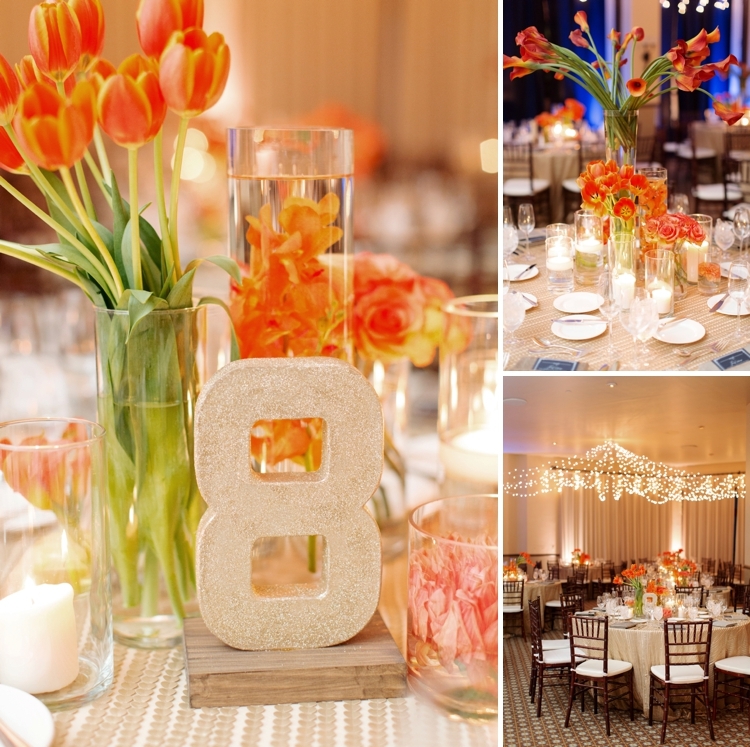 This is city chic done delicately and beautifully – it’s so elegant, pretty, and relaxed. 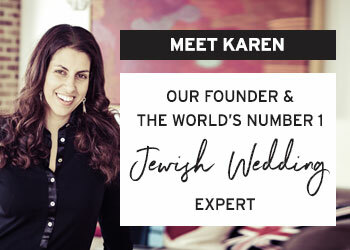 Just wait until you see the simple but oh so dreamy chuppah, the divine florals and the vivid and contemporary ketubah design. 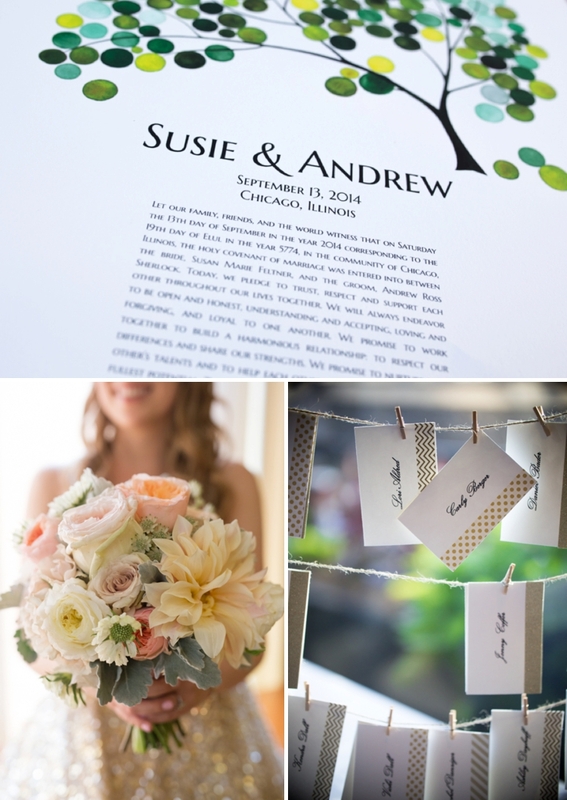 The images are courtesy of Thomas Slack from Slack Photography, who has captured Susie and Andrew’s day exquisitely. With every image, the tone is just right. Anticipation, fun, laughter, love and joy all come through. Personally, I think this is a fabulous way to start the week…and I really hope you’ll agree. Susie, the Bride: We are not “ballroom” people, and we wanted something different and less formal, so we decided to go with a restaurant. 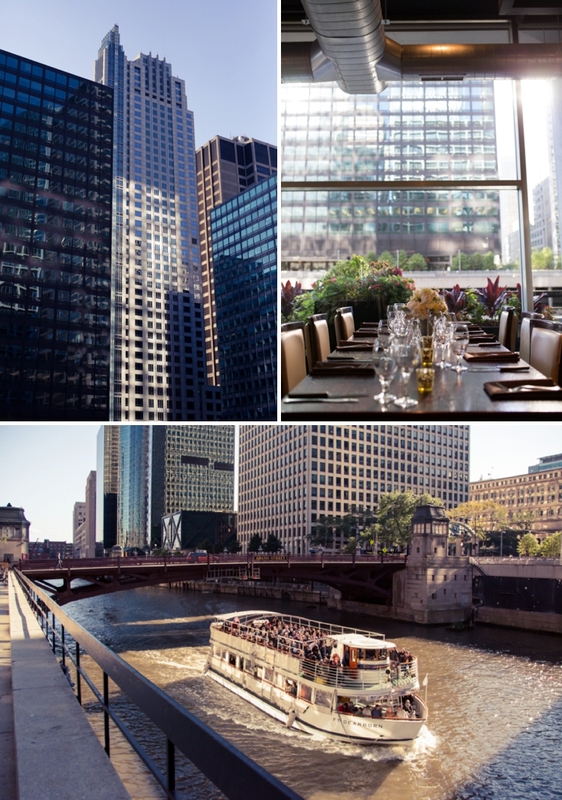 South Branch is located right on the river in downtown Chicago and the outdoor ceremony space and bar seemed perfect for our ceremony and party. 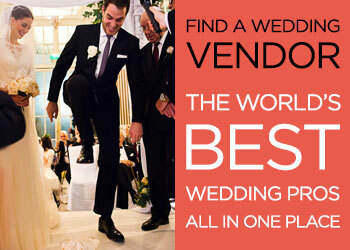 We were also very busy while planning the wedding (I was finishing up my MBA) and South Branch made it so easy for us. The restaurant is beautiful and needed very little in terms of decor, which was perfect for us! 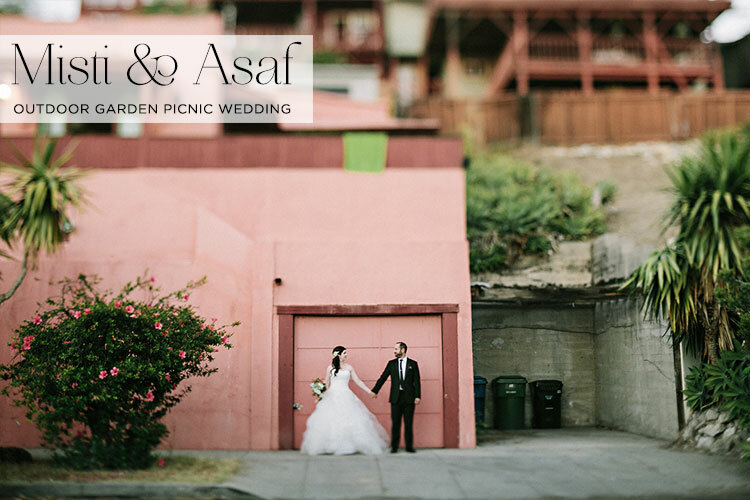 When the gorgeous Misti and Asaf tied the knot in Los Angeles they chose to host the celebration in their new home, and bear in mind that this brave couple had only moved into it a week before their big day! Misti is so beautiful with delicious bridal accessories to match — I mean you just can’t help but gawp at her super sparkly pink shoes in awe! 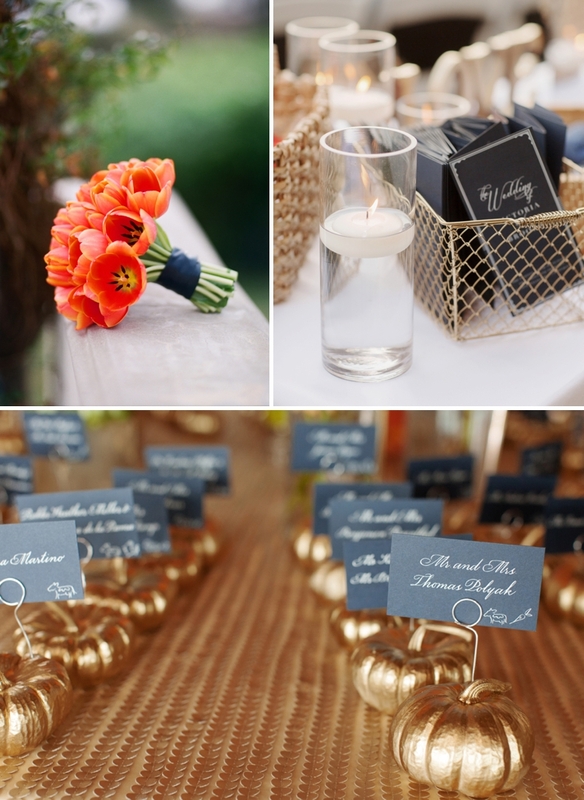 There are also some lovely DIY details like flower seed favours which you must check out. Jonas Seaman‘s photography is exquisite and I adore the light he’s captured – he has managed to paint a beautiful soft, timeless quality over the entire day. Enjoy! Misti, the Bride: Having gone to a number of weddings, our favourites have always been outdoor weddings with a casual and personal atmosphere. I think that having our wedding in our house made it extra special for us. Our wedding was especially unique as we moved into our house the Saturday before the wedding. Our venue truly marked the beginning of our new life together. My family and some awesome Midwesterners showed up early in the week to help us unpack and get ready for the wedding. When they showed up, we did not even have a kitchen sink. During our rehearsal dinner, our front yard fence was being built. On the Saturday of the wedding, a friend put on the house numbers a few hours before our guests began arriving. 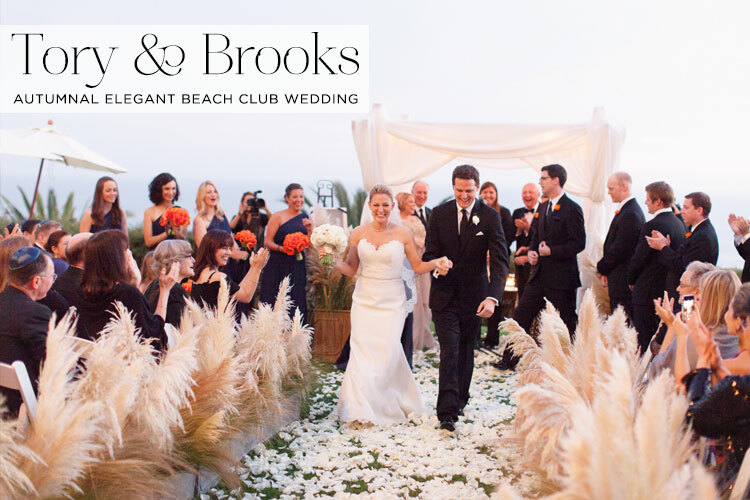 By the time the ceremony started, the house was completely transformed into a beautiful home and wedding.